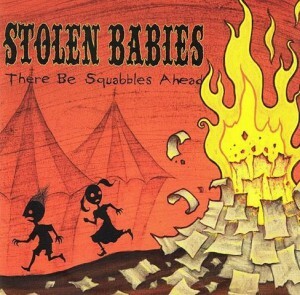 There Be Squabbles Ahead is the debut album of the genre bending Stolen Babies. The quartet manages to pair their unusual take on rock music with twisted circus-like sounds that move in many bizarre directions while featuring an alarming number of instruments. The more common ones being the accordion, organ and piano in addition to the standard bass, drum and guitar set up. 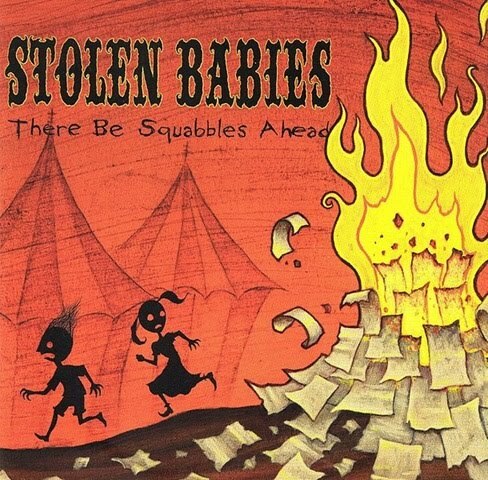 Stolen Babies then go as far as using a glockenspiel, jaw harp, mandolin, sitar, marimba, tuba, trumpet, euphonium and a violin in a low-key capacity. The bulk of the singing duties are handled by Dominique Lenore Persi, whose abilities are as flexible as the music is. She goes from explosive rage (Spill, A Year of Judges and Tall Tales) through to singing (Lifeless), semi-spoken lines (Push Button) and a smattering of hissed whispers are thrown in the mix for good measures (So Close) but most songs have a combination of two or more styles in them. It’s hard to tell what you should expect on first hearing There Be Squabbles Ahead when Stolen Babies kicks it off with the volatile Spill before going onto the comparatively relaxed and bass driven Awful Fall. Filistata is the first song to feature the oddball circus music and from then on you will be subjected to any combination of this (much like the vocal performances). Stolen Babies break further away from their wayward format to feature dance-like rhythms with a heavy keyboard focus on So Close, the tragic Lifeless provides a much needed break from its antithesis Mind Your Eyes and The Button Has Been Pushed is abstract and sounds as though it belongs on a credit reel to a film from a far off land that only exists in the mind of the Stolen Babies band members. Most bands that purposefully try to stand so far apart from any of their contemporaries while using so many instruments would easily turn everything into an unfocused pile of auditory vomit. Stolen Babies are one of the rare exceptions. There Be Squabbles Ahead is well structured and thought out, with their collective vision coming through in their music to give the album (and band) a real identity of its own.